Lucien is the rubber soled bigger sister for the original Repetto lace-up Zizi praised by the Mr. Serge Gainsbourg among the others. The design of this shoe originates from the classical ballerina shoe and is made with same reverse-stitch technique where the shoe is fitted without glue. 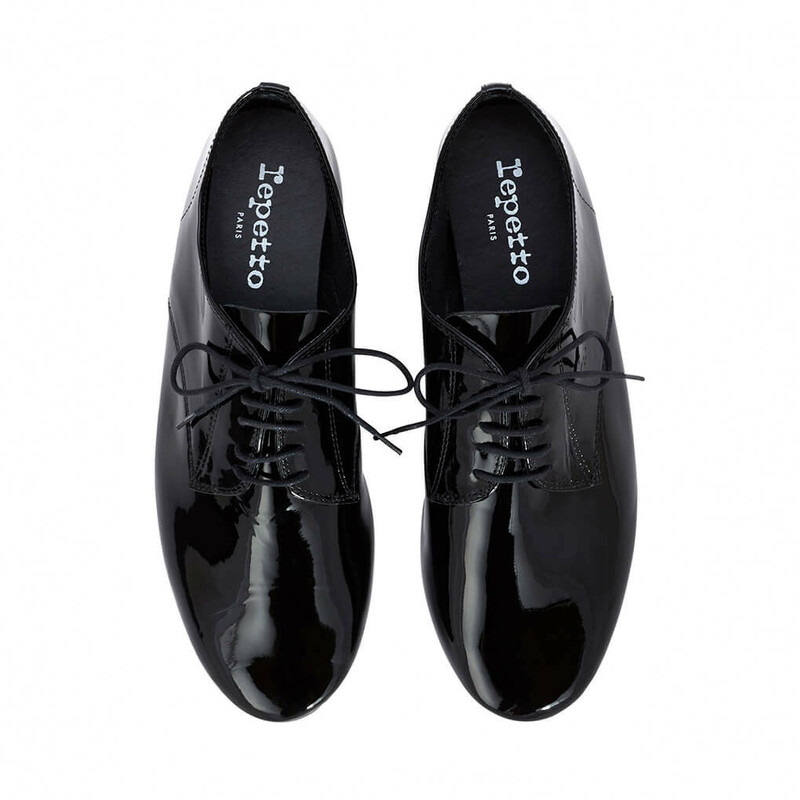 Flexibility and comfort are especially important for Repetto that is first of all a dance brand. 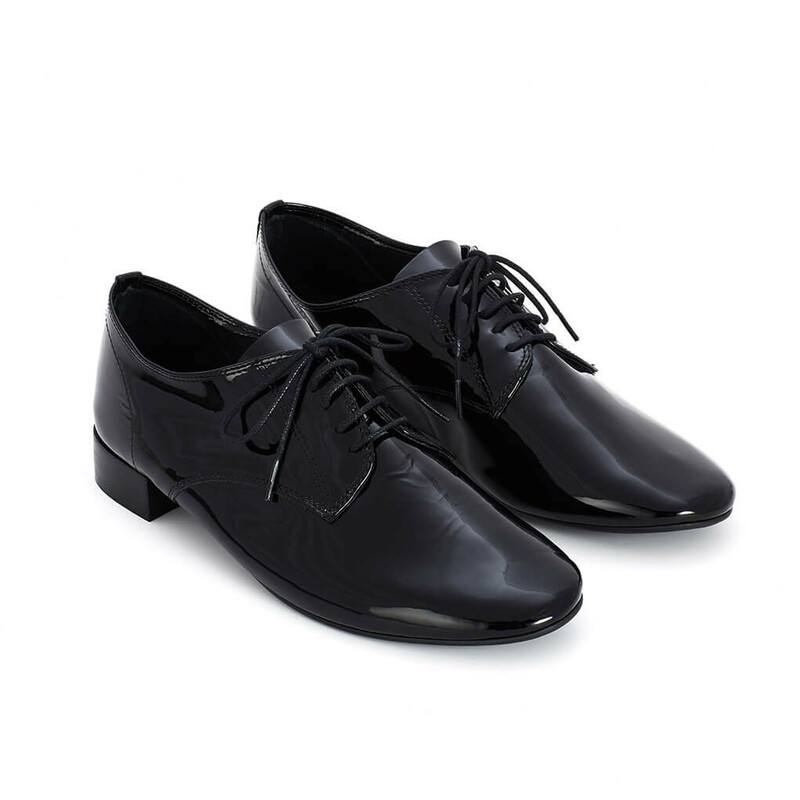 Lucien derby is inspired by the men´s smoking shoe and balanced with feminine close fitting shape and slender sole. 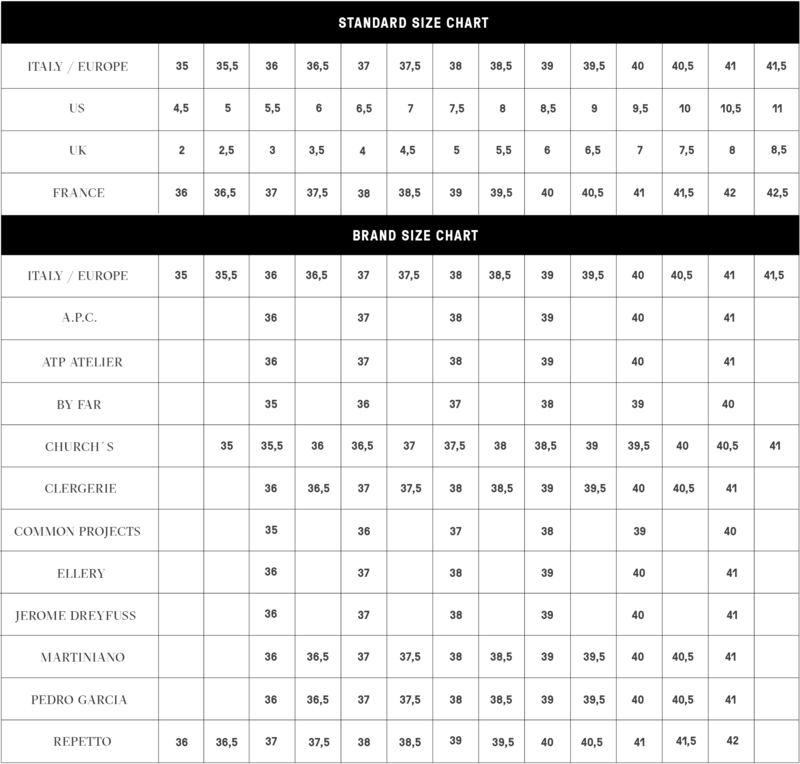 Compared to the Zizi oxford shoe, Lucie is more ad. Read more..
Lucien derby is inspired by the men´s smoking shoe and balanced with feminine close fitting shape and slender sole. Compared to the Zizi oxford shoe, Lucie is more adapted to fall-winter season thanks to the use of a rubber sole and thicker insole. Just like Repetto's traditional leather sole, the rubber sole is stitched inside out and returned. This type of manufacturing technique guarantees comfort and softness: Fundamental values of Repetto. The front part of the shoe is lined with soft cotton jersey. Back part is left unlined. 1 x Lucien Black Patent was added to your shopping bag. 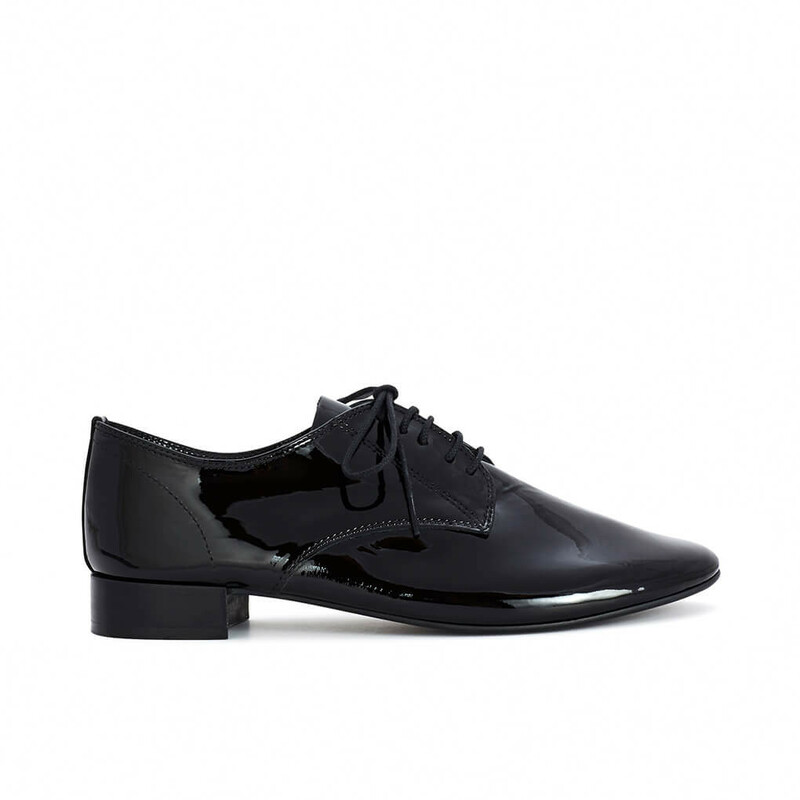 1 x Lucien Black Patent was added to your wishlist.